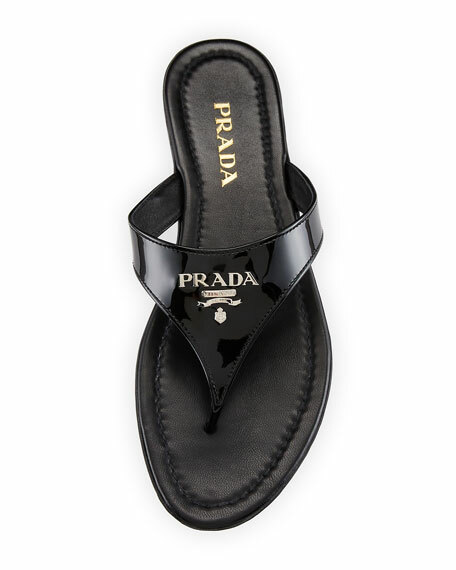 Prada patent leather sandal with metal logo. 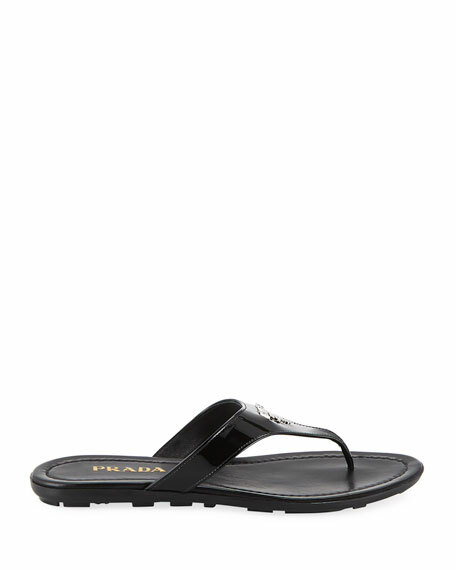 Prada metallic leather T-strap sandals. 0.5" flat heel. Thong strap. Adjustable ankle strap. Leather lining and sole. Made in Italy. Prada metallic leather T-strap sandals. 0.5" flat heel. Thong strap. Adjustable ankle strap. Leather lining and sole. Made in Italy. Fit: Runs true to size. Prada patent leather sandal. 0.25" flat heel. Thong strap. Adjustable ankle strap. Leather lining and sole. Made in Italy. Fit: Runs true to size.